Twilight Court, Lead, SD 57754 - 0 bedrooms, 0 bathrooms. .86 Acres of land in the Beautiful Black Hills. In the powder house pass development. 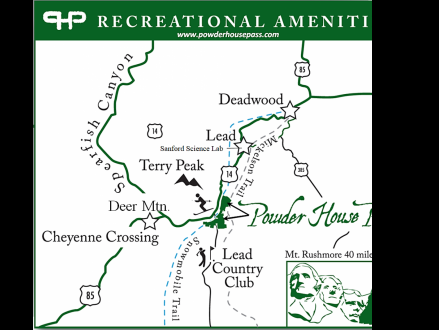 Please check out all amenities at www.powderhousepass.com. This parcel back up to 5 acres of BLM. Guaranteed to never have close back door neighbors. Also, extra space to wonder! This is a Acreage/Land at Twilight Court in Lead, SD. The home has 0 bedrooms, 0 full bathroom, and 0 half bathroom. Built in 2019, the house sits on a 0.86 acre(s) lot.